Today Midland got some much needed rain. 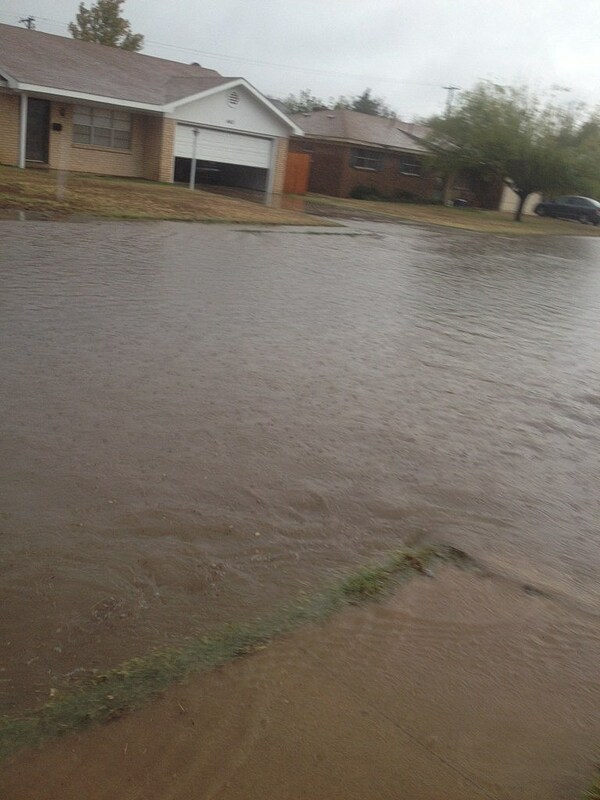 The crazy thing about Midland is we don't get much rain but when we do we got a lot. This city was built to get a large amount of rain at one time. So when we do it looks like a flood. The water raises quickly but as quick as it rises, goes away just as quick. Our ground is so dry that it just soaks it up. It sure was nice to get the rain. Here are a few pictures of my neighborhood.